Skin Care Doctors, P.A. appreciates your continued patronage. To thank you and reward that loyalty, we invite you to join the Brilliant Distinctions® Program. It is a simple way to save money by earning points, which are redeemable for dollars, on products you purchase and procedures you have done at our clinic. 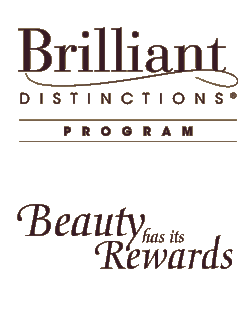 Brilliant Distinctions is an exciting program that allows you to earn points redeemable for dollars off BOTOX® Cosmetic, JUVÉDERM®, JUVÉDERM VOLUMA® XC, and KYBELLA® treatments as well as LATISSE®, SkinMedica®, and VIVITÉ® products. Each time you receive a BOTOX® Cosmetic or JUVÉDERM® XC family treatment, KYBELLA® or purchase LATISSE®, SkinMedica®, and VIVITÉ® products, you will automatically receive voucher points from Skin Care Doctors if you make the front desk aware that you are a Brilliant Distinctions when you make your payment. View all of your past transactions online in the “My Rewards History” section of Brilliant Distinctions®. You can view a list of your transaction history by date as well as points earned, points redeemed, and the status of each of your recent transactions. Click “Create Coupon” to bring to Skin Care Doctors at your next visit. You will receive an email confirming your voucher points. *BOTOX® Cosmetic treatments must be at least three months apart. BOTOX® Cosmetic treatment must total $200 or more and a JUVÉDERM® treatment must total $350 or more to be eligible for vouchers. *Printed coupons expire in 60 days. If your treatment plans have changed and you will not be using your coupon before the expiration date, contact the call center (1-888-324-2745, 9AM–9PM EST, M–F) and have the points redeposited. They will be waiting for you to use at another time. Points expire if not used within 9 months of being issued. What Products and Procedures Qualify?